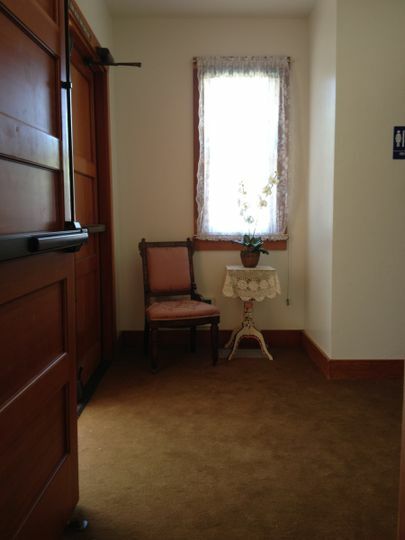 Located in the heart of historical Old Town Sam Hicks Monument Park, this quaint chapel has been meticulously restored and renovated to represent its early 1920's origin. 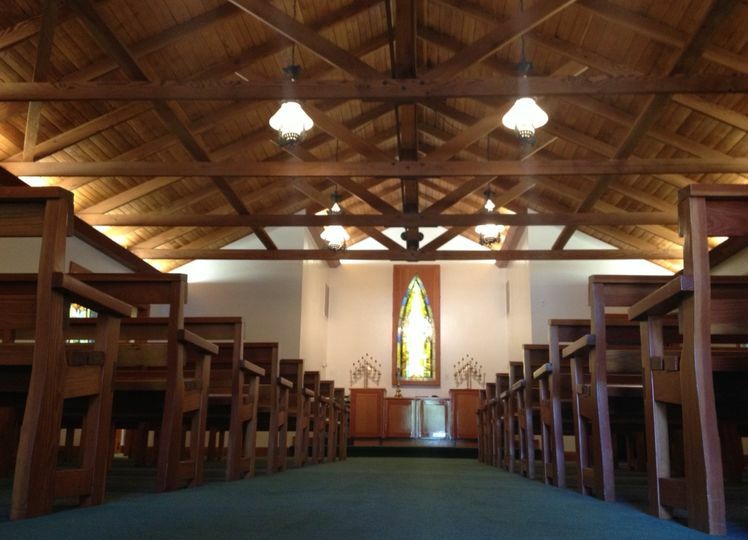 The historic non-denominational chapel has a beautiful open beam ceiling, wooden pews, stained glass windows, and an organ for your wedding walk. It will seat approximately 100 guests. 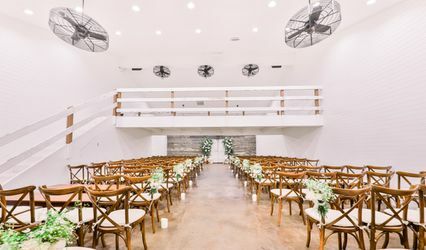 Set in a tree lined park with a large rose garden on the south side and a private patio on the north side for hosting receptions, this charming site is truly a "Chapel of Memories". 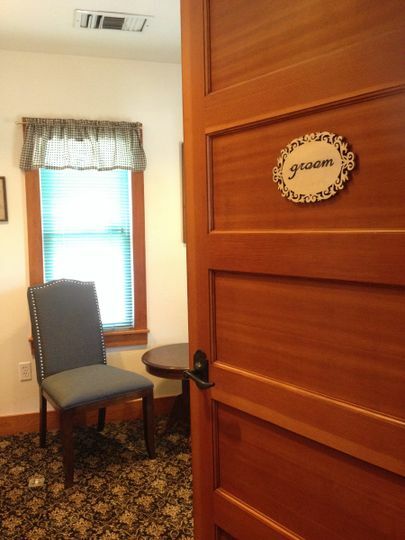 The chapel has both bride and groom dressing rooms, rest room facilities, and is handicapped accessible. 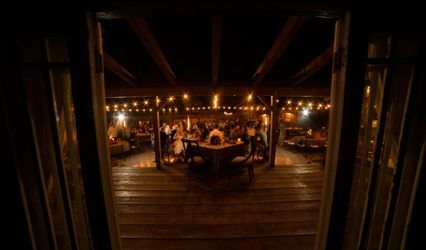 A charming enclosed patio is also available for receptions. An experienced wedding coordinator is on staff to make sure your wedding runs smoothly and is enjoyed by all. Jenny is the best!! She has a list of Vendors that the Chapel works with for couples that have no idea where to start. She remains professional and personable during the most stressful of times. 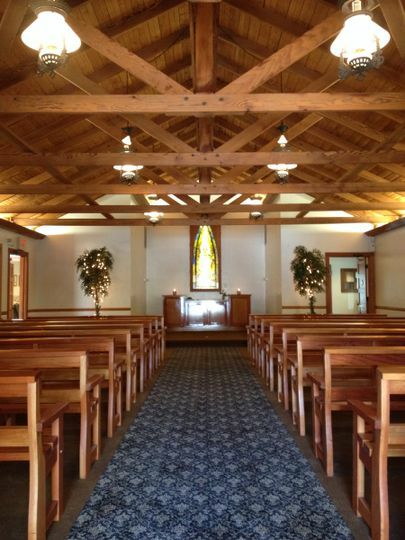 The Chapel is beautiful, it has a sweet historic charm that you can't find at a winery. 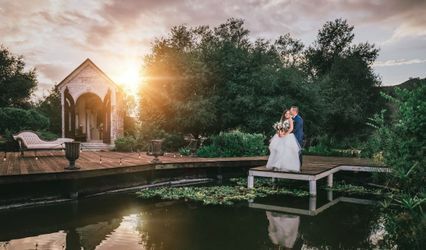 We decided to have our wedding and reception at the Chapel of Memories in Temecula because my son got married there three years ago and I thought it was so cute back then. It was very affordable and Jenny was super helpful. 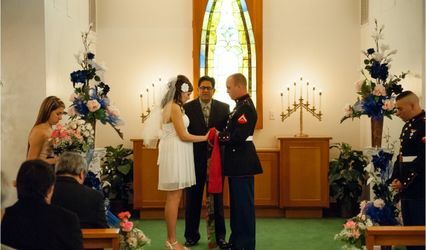 Our ceremony started just a little bit later than we had planned due to traffic, but we didn't feel rushed. It is also a very beautiful location. Thank you Dana! It was my pleasure to be a part of your wedding day. Great people make for a great time and you guys are just awesome!! 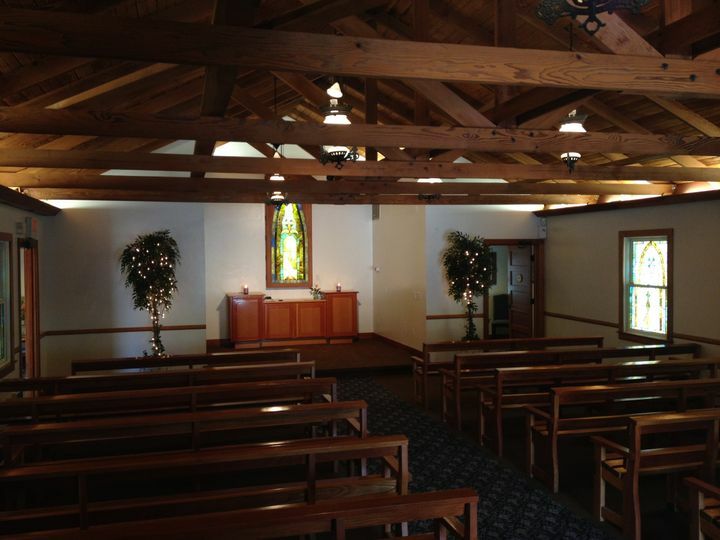 Wishing your whole family love and happiness from the Chapel of Memories! 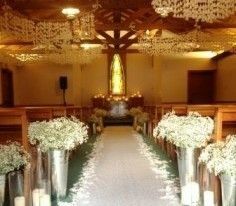 This Chapel was perfect for our small wedding with close friends and family. Mrs Pat Garcia made sure everything was perfect for our special day. I highly recommend Chapel of Memories. 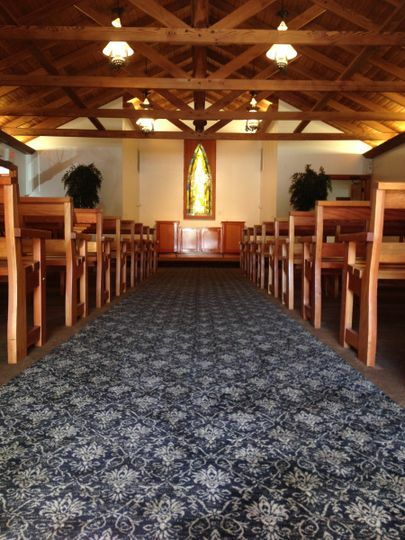 At the Chapel of Memories, we have ongoing specials for our military. 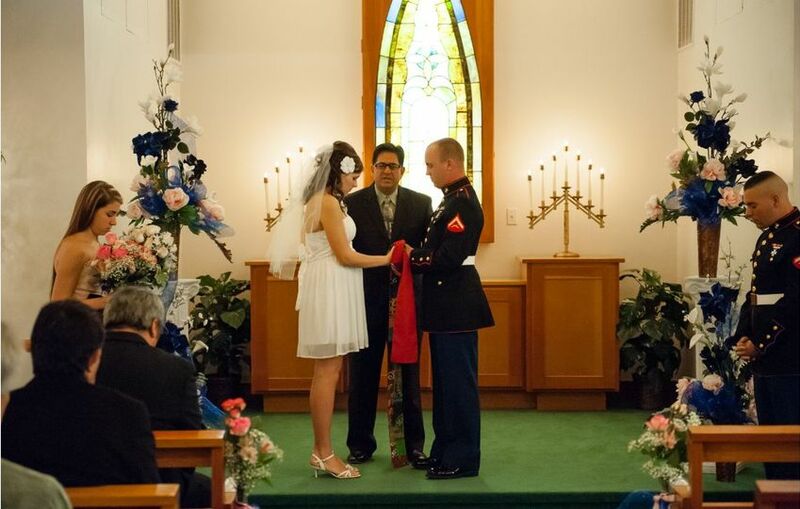 Active military will receive a 15% discount on all of our ceremony packages. If you are currently serving in any branch of military, be sure to let us know! Just our way of saying "Thank You".